One of a range of popular children’s card games available from Morrisons stores, featuring favourite Disney characters. 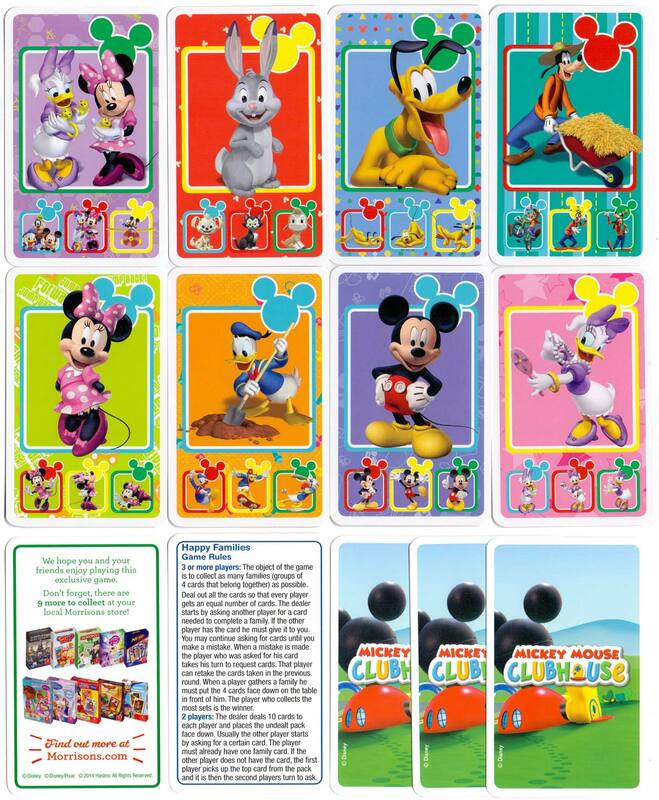 Above: “Mickey Mouse Clubhouse” Happy Families card game, from a range of ten games available from Morrisons stores in the UK. 32 cards + rules + extra card in attractive tuck box, printed by Carta Mundi (UK). All images ©Disney ©DisneyPixar ©2014 Hasbro. Cards courtesy Elaine Stringer.